One way to enjoy the incredible food at Walt Disney World is to use a Disney Dining Plan. The plan changes slightly from year-to-year, but 2018 brought a big change – alcoholic drinks are included in all dining plans. 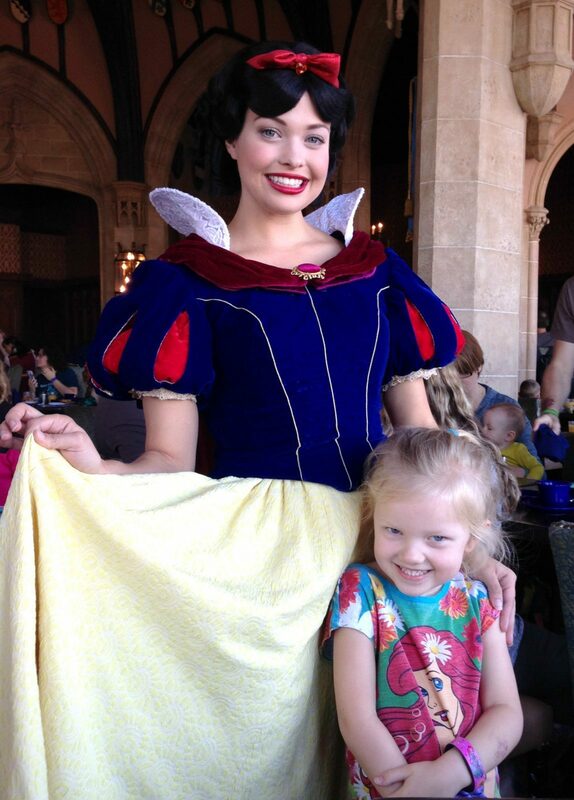 So my short answer to the question is the Disney Dining Plan worth it is – it depends! In this post, I’ll share the cost of the Dining Plans, what you’ll get, and how to decide if the plan is worth it for you. If you are just starting to learn about the plans, you’ll probably want to start with my Disney Dining Plans 101 post first. 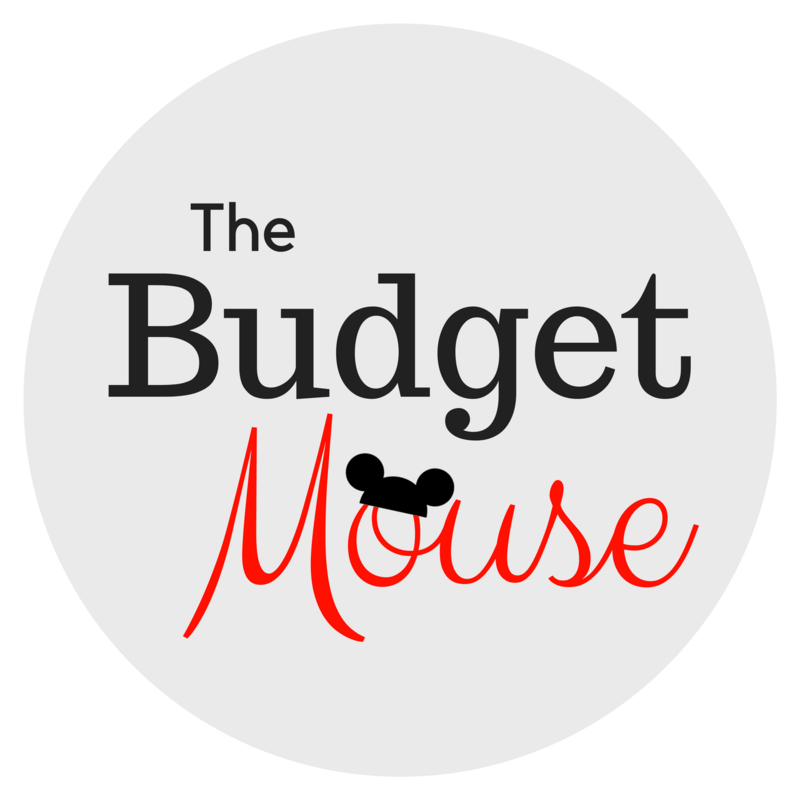 What is the Cost of a Disney Dining Plan? There are three different dining plans available – the Disney Dining Plan, the Quick Service Dining Plan, and the Deluxe Dining Plan. Each plan offers a different combination of meal and snack credits that you can use throughout the course of your stay. You’ll get an entree and beverage (even a specialty or alcoholic drink) with each credit on any plan. Those are the rapid-fire basics. If you want in-depth coverage of the plans, I suggest my Disney Dining Plans eBook that’s currently only $0.99 on Amazon! Next, let’s look at what you can get with the plan so you can decide if it is worth it to you. 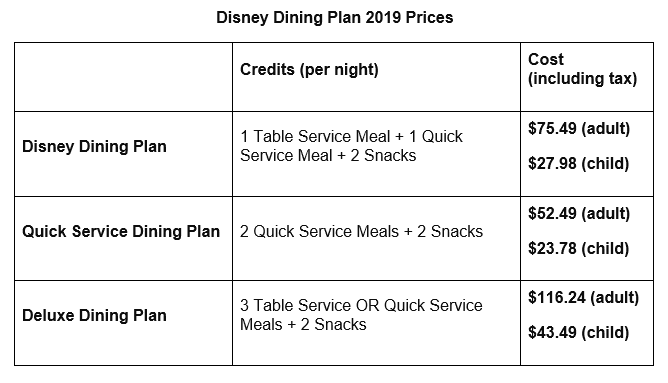 What Is Included With the Disney Dining Plan? 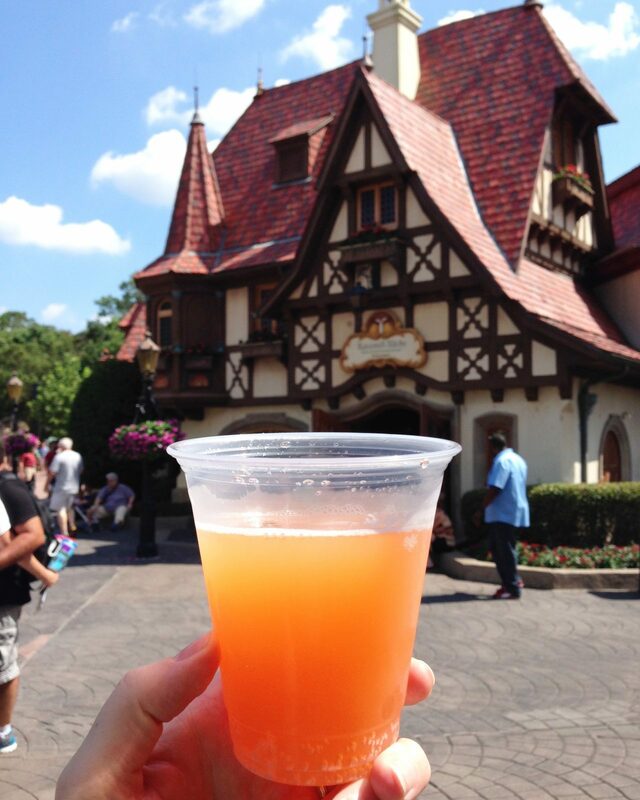 As of 2018, you can get any drink from the menu (including alcoholic drinks) as long as it doesn’t come in a souvenir cup (which has long been a policy with the plans). I was even able to get the $15.95 Patron Lime Margarita at La Cantina de San Angel in Epcot (pictured above)! You can also get tremendous value from your snack credits, some of which can be used to buy items up to $10 at the Epcot festivals (get an overview of the Epcot festival scene in this post). 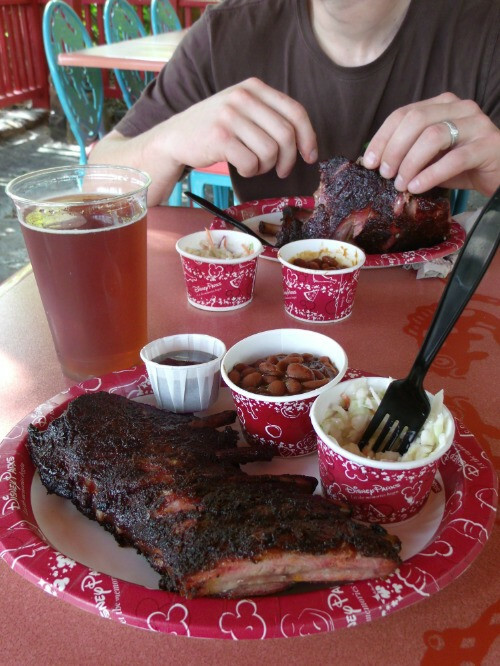 Is the Disney Dining Plan Worth It For You? The dining plans tend to work out better for some folks than others, depending on their style of vacationing and where they prefer to eat. 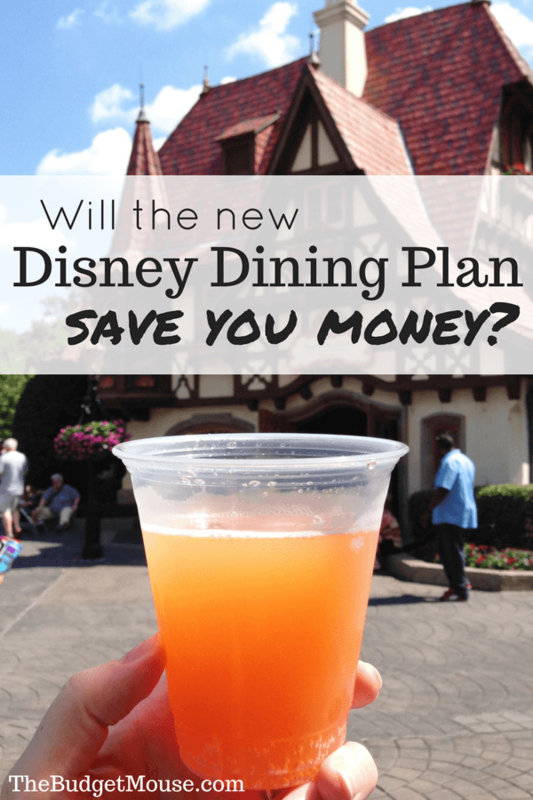 Here are some factors that will help you answer the question is the Disney Dining Plan worth it? How Much Is a Quick Service Dining Plan Credit Worth? Here’s my most useful tip for deciding if the plan is worth it for you. I use some quick and dirty math to help me decide whether or not I should get the dining plan for a trip based on where I want to eat. I estimate the value of a Quick Service credit on the dining plan to be about $20 (for adults). If you can get your food and drink for less than $20 at a quick service location, you are better off paying out of pocket. Maybe entrees at quick service locations are in the $15 range. When you add a drink and tax it will bring the total up to around $20. How Much is A Table Service Credit Worth? Using my quick and dirty math, I estimate a table service credit on the dining plan is worth about $40. So if you will spend $40 or more on your table service meal, the dining plan will be worth it for you. As you can see, you would definitely save money at these character dining locations with the dining plan. Be forewarned: these are also the most popular restaurants which means many of them are completely booked up as soon as the six-month window opens up. If you want to get the full value from the plans, you really should make dining reservations as early as possible, ideally the morning six months before your check-in date. I use this date calculator to find the day my dining window opens, and mark it in bold in my planner! I assign the value of $5 to a snack credit on the dining plan. So anything item over $5 that you can get with a snack credit represents a good value on the plan. There are instances where you can get items worth up to $10 with a snack credit, however! If you are visiting during one of Epcot’s festivals (there are four now), you can use snack credits to purchase most food items at the festival booths. 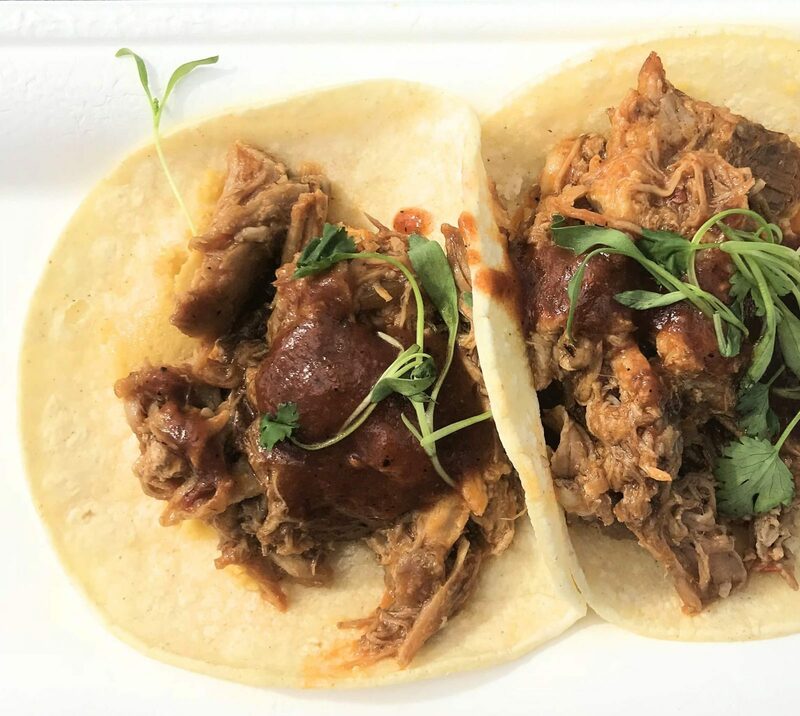 Some items are upwards of $10 and can be purchased with just a snack credit (such as the $9.95 pork tacos pictured above). You can get the full menus and food photos from all of the Epcot festivals over at The Disney Food Blog! 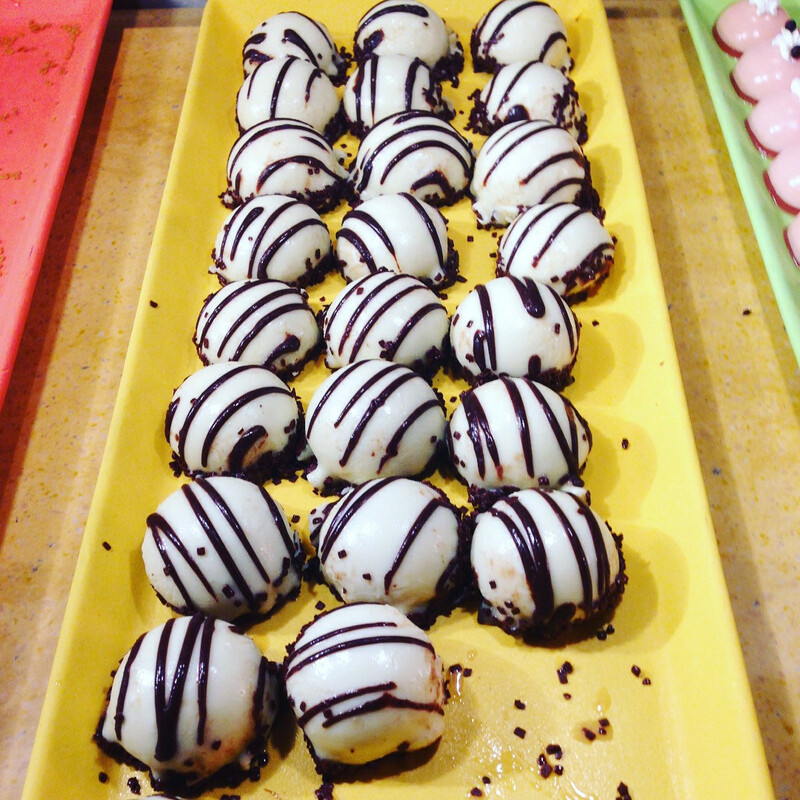 We like to save our snack credits and use them the eat our way around the festivals at substantial savings. Now let’s look at a sample day on the dining plan to compare the cost of the dining plan vs. paying out-of-pocket. Let’s compare what you would pay for the Disney Dining Plan versus out-of-pocket during a day at Epcot. 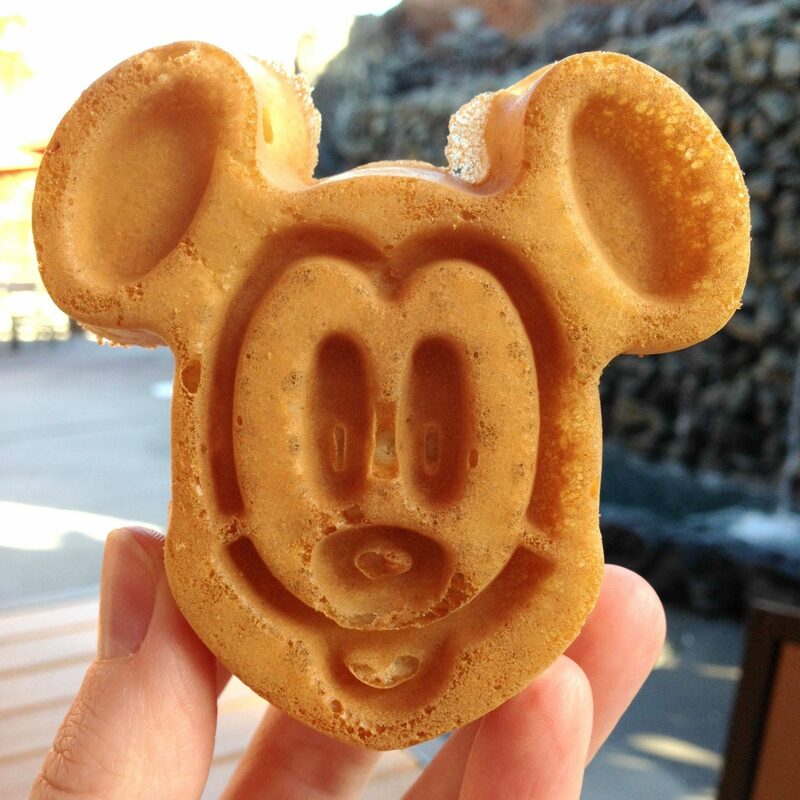 For breakfast, you use a snack credit to buy a pastry at your resort along with coffee from your refillable mug. You have lunch at Sunshine Seasons in The Land pavilion and enjoy a pressed Cuban sandwich, a fruit and cheese plate, and a beer. For dinner, you head to Akershus Royal Banquet Hall for an incredible three-course Norwegian meal with the princesses. With this sample day, you would save $25.39 in one day for one person on the dining plan. Keep in mind that Akershus Royal Banquet Hall is one of the priciest one table service credit restaurants at Disney World, so I wouldn’t expect to save this much every day. But if this is the type and quantity of food you would likely eat on vacation, then the dining plan might be a good fit for you! Today you’d lose $21.47 with the dining plan. The main reason is eating at some of the most affordable restaurants out-of-pocket and choosing soft drinks as opposed to pricey alcoholic drinks. So overall, if the first sample day represents how you generally like to eat on vacation, the Disney Dining Plan could work out very well for you! If you aren’t a buffet fan, are a lighter eater, or don’t drink alcohol with your meals, it would likely make more sense to pay out-of-pocket for your food. I clearly saved A BUNCH of money with the Quick Service Dining Plan ($54.43 to be exact)! So while it IS possible to save money using the dining plan with alcohol, it won’t save money for everyone. Read on to learn who should consider the plan and who benefits most from it! 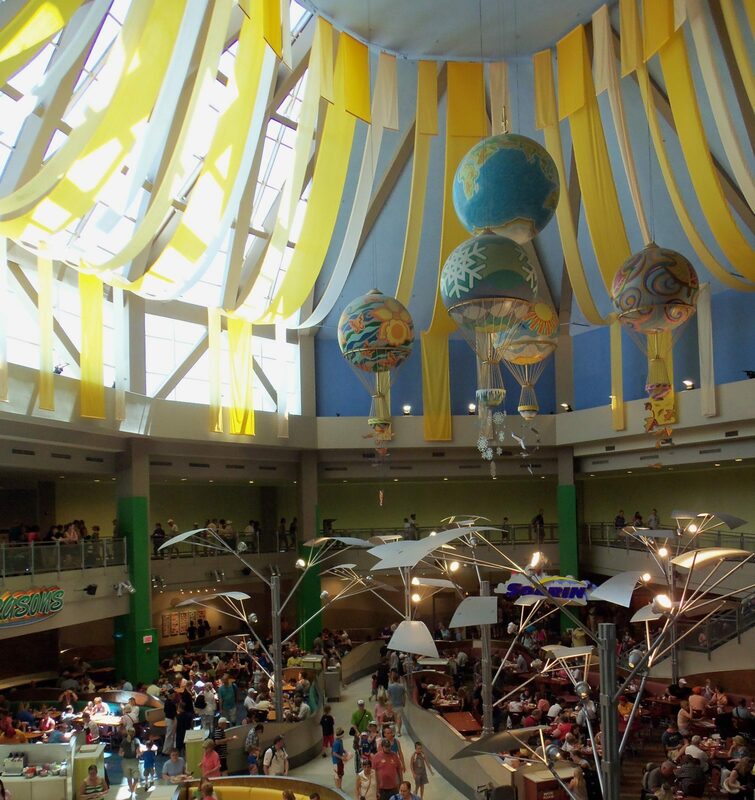 Is It Worth Getting the Dining Plan at Disney World? Guests choose the dining plan for an “all-inclusive” vacation experience, to control their food budget, or to try out new dining experiences. 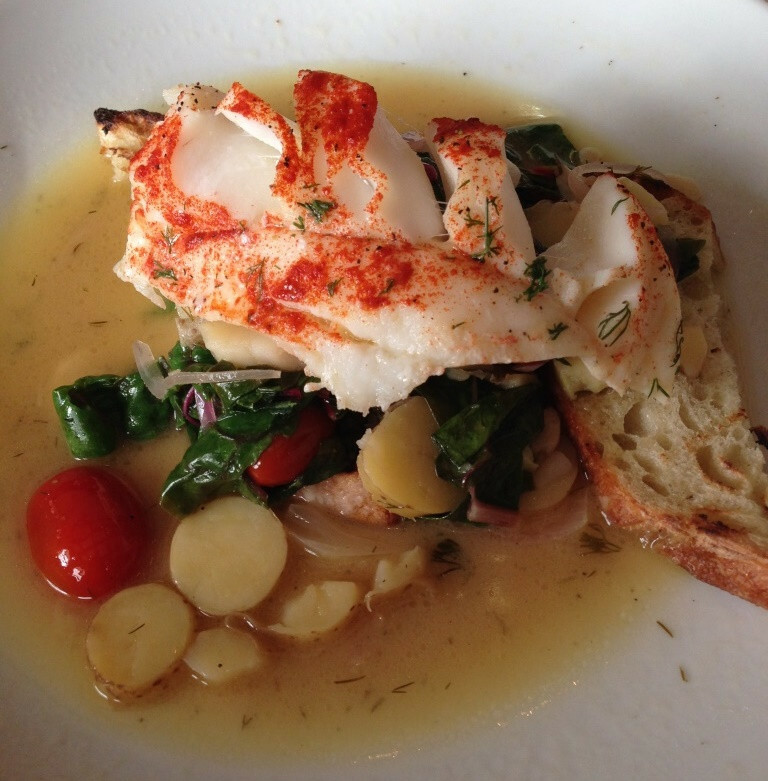 You’ll need to plan your dining six months in advance to get the most out of the Dining Plan. You’ll get most of the plans if you are dining at several buffets or character meals. With the addition of alcoholic drinks to the plan, you’ll save the most if you already planned to enjoy a drink with both lunch and dinner. 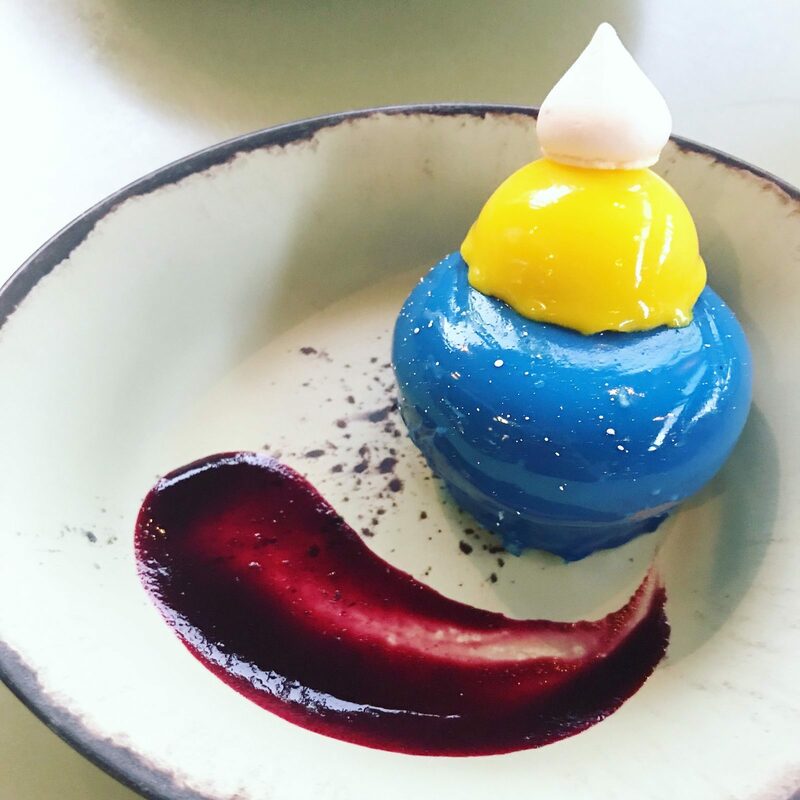 I hope this post helped you answer the question is the disney dining plan worth it? 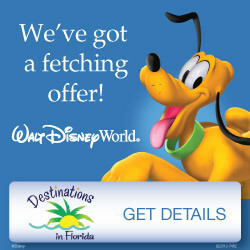 If you want help deciding whether or not to get the dining plan, I strongly suggest getting a free quote from the expert Disney agents at Destinations in Florida! 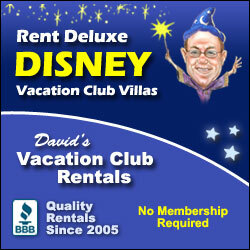 They can help you decide where to eat, where to stay, and make reservations for you, all at no additional cost to you! My guestion is when purchasing a meal plan how do you know how to tip ,if you eat at a sit down dinner or a buffet . I think if you serve yourself only required minimal tip is needed . Hi Dan! Your server will give you a copy of the receipt that shows what the total cost would have been out of pocket. You use this to calculate your tip – and the math is usually done for you on the receipt with a suggested 18% or 20% tip. If you are in a party of 6 or more, an 18% gratuity will be automatically added to your check, even at buffets or all-you-care-to-enjoy meals. Servers at all sit-down restaurants (even buffets) only make a few dollars per hour so they rely on tips for the majority of their income. Exactly what I was asking…if we could just pay for his drink and use his drink credit for a beer or cocktail (and get more value out of it!). Hadn’t considered just paying for his meal out of pocket and doing it that way. Thank you again! Thank you for your help! One more question if you don’t mind… 4 out of 5 of us are 21 or over. Can we order 5 adult beverages and just pay out of pocket for the 17 year old’s beverage? OK, I think you mean get all 5 of your meals with the dining plan… since the drinks are part of a quick service meal entitlement, they are linked to the meal. So you COULD pay for the 17-year-old’s meal out of pocket and save your credits for the 4 of you that are over 21 (that would be smart) but you couldn’t just get the drink out of pocket… hope that makes sense! 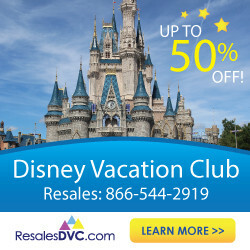 How do you feel it compares to a DVC or annual pass discount? Or Tables in Wonderland? We did the dining plan a couple of times years ago and stopped for a couple of reasons…we felt that it dictated our days (everything revolved around when/where we were eating), it was a lot of food, and the TIW card seemed better because we got 20% off everything including adult beverages. Now that the dining plan includes those adult beverages (and with a 22 and 21 year old now in the mix 😉 we are wondering if it might actually be a good idea. Would love your thoughts. Thanks so much! Stacey you are right that it’s a tough call with alcoholic drinks included now. In the past, we would mostly NOT get the dining plan for the same reasons you said. The AP discount was so good last year but now it’s back to only 10% and I don’t think TIW is a good deal unless you are doing a lot of Table service with a large group. It is a huge amount of food on the dining plan but if you are paying the same as you would for less food out of pocket, why not live a little, right? LOL… Not sure that helped but the main point is to have fun, so if the restrictions of the plan make it not as much fun then I say go out of pocket. I personally have fun on the dining plan because I am such a cheapskate and always looking for the lowest priced item on the menu unless I am on the dining plan! Hi Leah, Here is where you say you should use a touring plan in your post. I left out the other suggestions but this is the one I was specifically referring too. If you don’t agree with touring plans you may want to rephrase that section or leave it out. I still don’t think that a touring plan has anything to do with whether or not the dining plan will work for you. It has more to do with your eating style and preferred ADR’s. You are right, Linda, I needed to reword that part of the post (and just did). As you know, places that provide the most “bang for your buck” tend to book up the earliest, ESPECIALLY during free dining. It would be really hard to not make any ADRs and get your money’s worth out of the plan because the places at which you can score last-minute reservations (e.g. Kona Cafe, Marrakesh, The Wave) typically aren’t a good value on the Dining Plan. Some folks don’t like to make ADRs and like to wing it and it is hard to get your money’s worth out of the plan that way. So I wouldn’t suggest the plan unless you are willing to make ADRs in advance and stick with them. This only applies to the Standard plan and not the Quick Service plan, of course. You’re welcome for the feedback. I totally agree with that statement about ADR’s. That is very important if on the dining plan with TS. Like I said originally I think you have given the best advise on the dining plan and would recommend it to anyone. I agree with most of your comments Leah. The dining plan is definitely not for everyone. One of the things I disagree with is the signature restaurants. 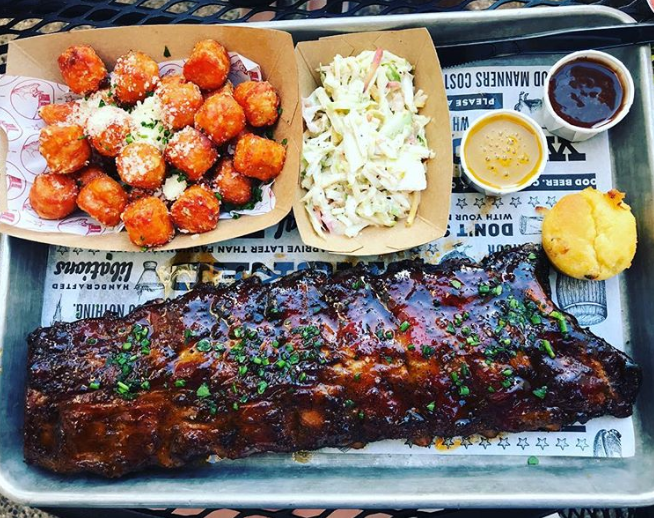 If you are on the deluxe plan where you get a app, meal and dessert plus alcohol you can easily get to $80/person. My family did the dining plan last year without alcohol and ate at the Boathouse in DS. It was 2 credits and we definitely were able to get our moneys worth for that meal. I also don’t think you need a touring plan. You just need to plan your ADR’s at places with the best value for the plan you choose. We didn’t have a touring plan. We had FP’s and ADR’s the rest of the time we went with the flow. Thanks for the very informative article. I think you break down the dining plan the best for anyone wondering if it will work for them or not. I personally don’t use a touring plan and don’t think I’ve recommended one here… I do suggest folks pick the least crowded park that day and use FastPasses strategically. We just arrive early, ride whatever we want while lines are short and use our FastPasses later on when it is more crowded. I think it is so much fun that way! Thanks for the updated post! We’re considering the dining plan for our trip in December IF free dining happens to work out for us – big IF, but would like to be prepared if it does. I might possibly add on the QS dining if not, just for the added alcohol value and the fact that we have 2 boys ages 5 and 7 that would benefit from not having to choose kids meals at QS. Our livers and wallets would probably not appreciate it as much though 🙂 Quick question – if we did the dining plan with 1 QS and 1 TS could our boys also choose non-kid items for the QS restaurant or is that only applicable if you have the QS plan? If we did the regular dining we’d likely opt for buffets/family service for the TS credit. Great question, Jessica! 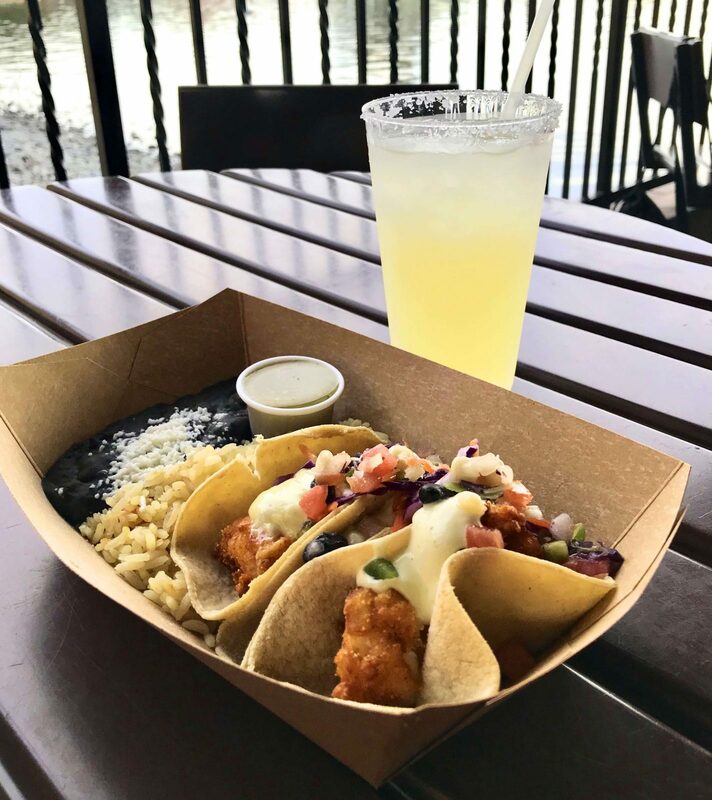 Any Quick Service credit on any plan doesn’t distinguish between kids and adult meals, so you would also have that option with the Standard Disney Dining Plan. I fear this might change in the future but for now, your kiddos can get an adult meal at Quick Service locations. This does not apply to Table Service meals, however – kids are limited to the kids’ menu there. I’m hoping for free dining in December for you! I have really enjoyed your blog and I think the information you provide is very helpful! I am working on planning a trip with my husband and two kids later this year. We are staying at one of the resorts and doing 3 days at Disney and 2 days at Universal/Islands of Adventure. I’m trying to figure out if the dining plan would be beneficial for us since we will only be in the Disney parks for 3 days (Magic Kingdom, Animal Kingdom and Hollywood Studios). I am more interested in the Quick Service dining plan. My husband and I do enjoy adult beverages and we all love to try new and delicious food, but I want to make sure we get our money’s worth. What do you suggest? What I DID find was a good fit for us (not for everyone, but for us) was staying at club level. We managed to snag a nice discount in a club level room at Yacht Club and it was the best decision EVER for us! So much food, and we ate every breakfast and some dinners there. There is also unlimited beer and wine, although with the exception of the 5 pm – 7 pm hours you do have to ask for it. I read elsewhere that they will also serve you any type of spirit although I’m not certain of that. But since we both love our nightly wine it was great for us. We ate very few meals in the park because of this. Again, this won’t work for everyone, but it’s a good deal for adults traveling together who aren’t spending every waking moment in the parks. Staying club level sounds like SO much fun, Cathy! It’s something I’ve never done and I should look at the numbers to see how much extra it is. The dining plan can definitely be too much food! I’ve never tried the quick service plan until this recent trip and I actually really liked it. You are right that if you don’t like a drink with lunch and want more flexibility it still isn’t a good fit. Thanks so much for your helpful comment! Leah, I have to admit that we are so spoiled after doing club level! Like the dining plan, however, financially it will work for some people better than others. It’s such an individual choice and sooo many factors go into it. We just went again in early February of this year and that’s when we did club level. It was not in our initial plans but the discounts opened up on club level after we made our reservations so we decided to try it. I can’t say enough about it, so I encourage anyone who might have considered to try it out. We got a 25% discount at a value time so it was about as good as one can hope for at WDW! I do think if we ever considered doing the dining plan again that the quick service option would definitely work better for us; that is, if we don’t do club level. I think that in general, doing both club level and dining plan would not be a good deal. I’m sure there are some exceptions to that, but for us, certainly not.